Since 2013, M Cafe by Meesha Sukira owned by 2 owners, Michelle & Marina, introduces cultural heritage food & fashion to the youth. M Cafe serves home cook Malaysian food that has a very authentic and unique flavours and most of the recipes are from one of the owner’s mom. So whatever you try here definitely makes you feel like home. 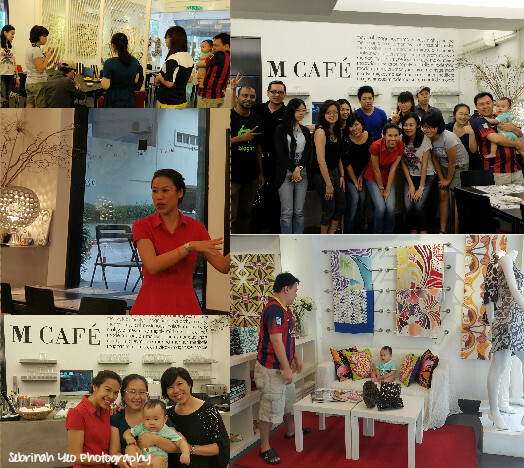 M Cafe which is also an ideal place for private events, celebrations, functions and etc. 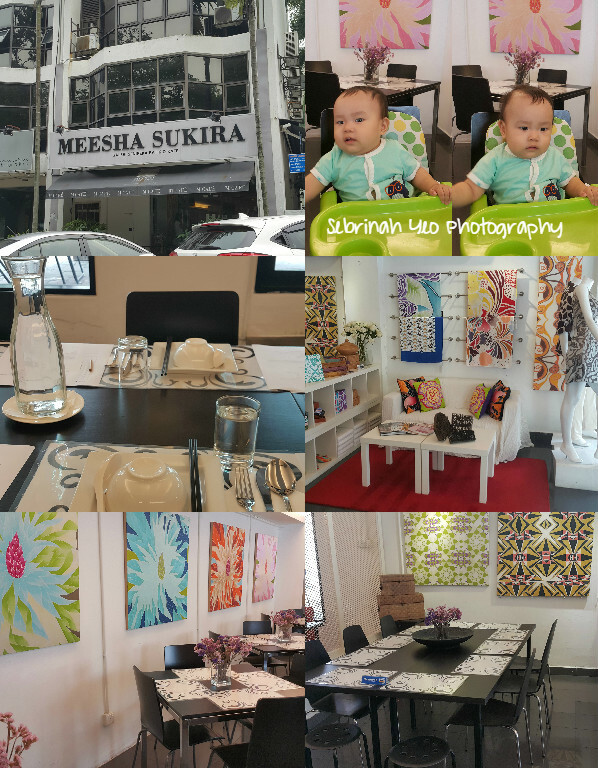 The cafe's seating capacity indoor is up to 50 pax and outdoors up to 16 pax. You can even consider this place for a buffet function or product launching too. 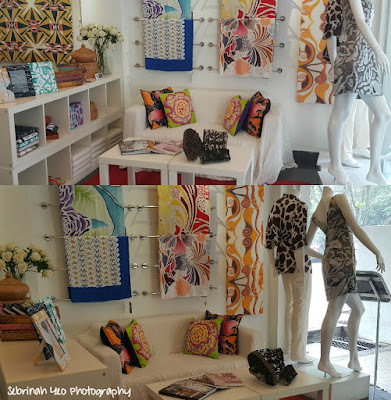 We ventured upstairs to the 2nd floor to explore the beautiful batik awaiting us. Read more here. 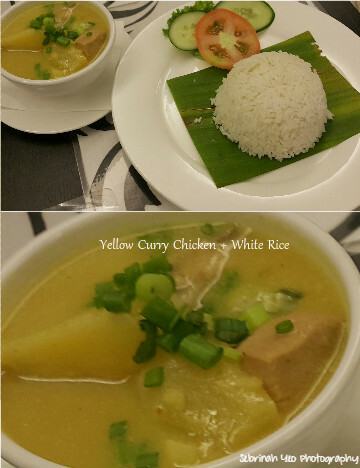 Foods & Drinks at M Cafe is satisfying! 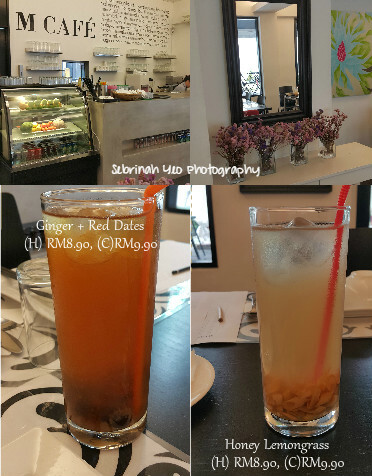 Ginger + Red Dates drink is just nice, not too sweet and this reminds me of my confinement drink (missing dried longan). However, it's really yummy! Ginger helps in indigestion and dispels wind, btw! Red dates has so many benefits but the main benefit (for nursing moms like me) is it helps to boost my milk production!! So yes, I love love love this drink!! Honey Lemongrass tastes refreshing and cooling, especially in our hot and humid weather. This is a definite thirst-quencher anytime! 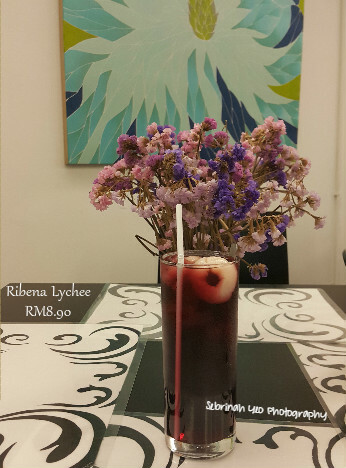 Ribena Lychee, yes, it looks and sounds ordinary however, don't you know that the mixing is very crucial! Sometimes it's either too sweet or too bland! But this was just nice. Yummy!! 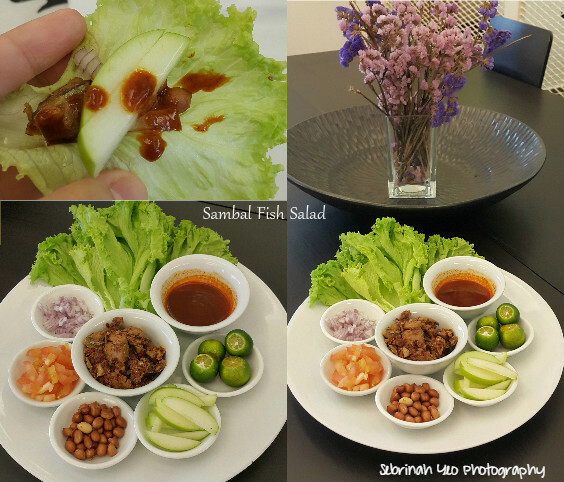 Sambal Fish Salad, a unique fusion mix that is a really good starter to begin with! 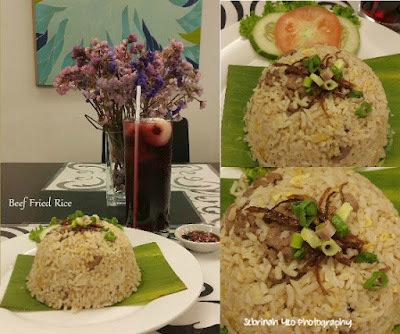 This dish introduced by Moriah, also tells a story of her adventures in Mount Murud, Sarawak; Where she went on a journey to climb up the mountain and they had to prepacked food to survive in the mountains. One of them is the sambal ikan where they will eat that for the next few days as their main meal up in Mount Murud. That was how the sambal fish came along (made with ikan kembong, de-boning the fish is no easy task FYI). Then there is the lettuce wrap concept that is a tradition in Chinese (especially Hokkien), the "Jiu Hu Char" (Stir Fry Jicama & Cuttlefish) wrapped with lettuce is a must-have dish that is prepared for all festivals. Also, the apples are known to reduce the spiciness flavor that Moriah found out from a friend who came back from Czech Republic. The other ingredients here, needless to say are a mix fusion of Asian cuisine. Mix them all together and wrapped them up, you can taste the flavour exploring in your tastebuds. The zesty lime, the spiciness, that sweet apple, nutty nuts, sweet tomatoes, fragrant onions and most importantly that sambal fish! Definitely a great starter to have! MUST-ORDER! 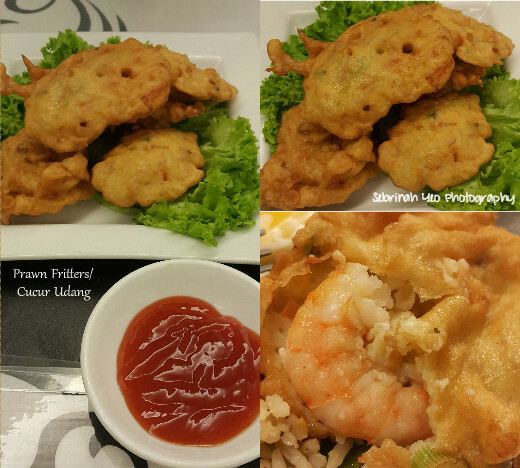 Prawn Fritters/Cucur Udang also as a starter. Very crunchy, not your ordinary cucur udang bought off the shelfs. This is really homemade. Big fresh prawns and fragrant! Hainanese Chicken Chop, the sauce taste just right! Not too sweet, just the way I like it! The veggie is steamed/boiled but with a lil bit of salt it'll be better (like sauteed). The fries also needs a pinch of salt. 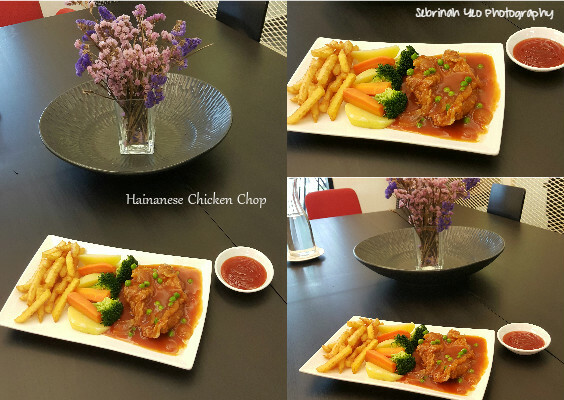 But if you dip them into the hainanese sauce or the ketchup/chilli then you don't need salt (hehe). Chicken cooked just right for it's texture. 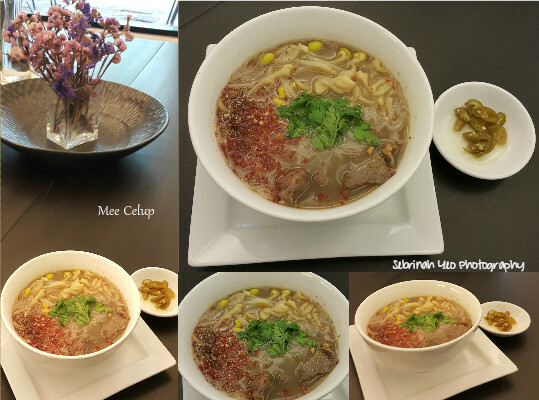 Mee Celup, a new dish that will be on the menu from Nov 2015 onwards. This is one special dish that has a very unique combination of bean sprouts, beef, chilli flakes, broth, boodle and lime. Squeeze the lime in it and mix them all up. Tastes different. New different. 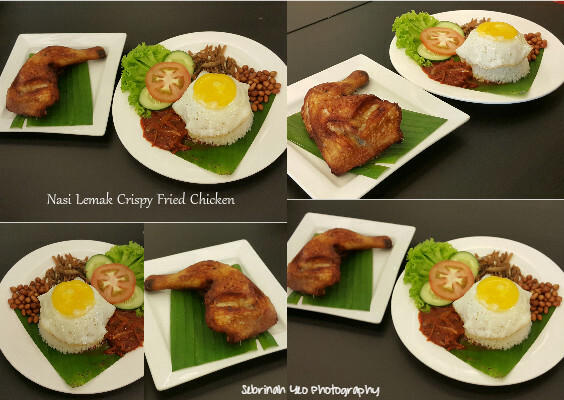 It's an authentic dish introduced from Kelantan and improvised by M Cafe. 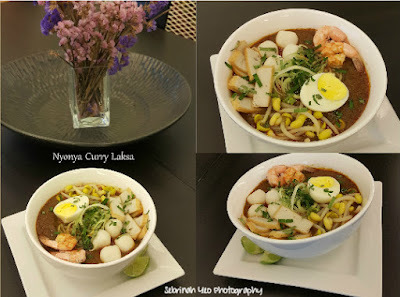 Nyonya Curry Laksa, Penang style improvised by M Cafe. Very thick broth! Generous servings of ingredients and my husband love love love it! The best laksa he has eaten by far! My hubby who rare has any "favourite" food in particular, loves this so much (he wanted to order second round) means it's definitely a MUST-ORDER lah! This will also be available from Nov 2015 onwards. Beef Fried Rice, looks ordinary, tastes good and best of all, the beef is fresh and no strong beefy taste/smell. A comfort food anytime! Add a sunny side-up and it'll be perfect! Me & my family (my hubby & baby) stayed back to grab our dinner here. We would love to come back again with our family members. Thanks for having us! Prawn fritters look tempting and chrunchy. Will drop by there this weekend to try it out. this place food menu so unique! 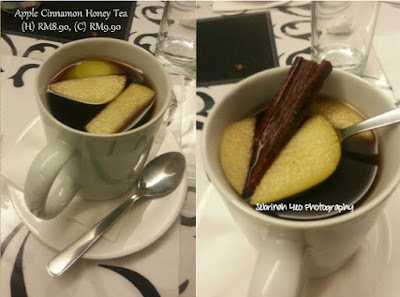 lpve the fact they serve apple cinnamon honey tea. I have not been here before. The Nyonya Curry Laksa looks delicious. 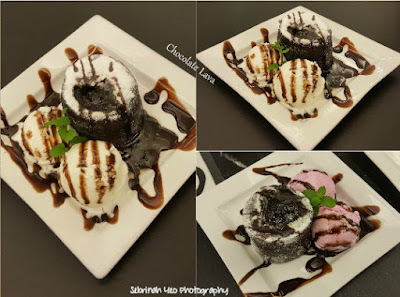 wow so nice the place to hangout and eat. 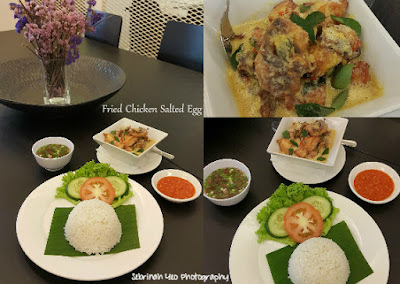 Love to try the food soon, as need tell dear how to go he seldom go this area. OH the place looks very comfy and cozy. No wonder you stayed back there to grab dinner haha. I would love to pay this place a visit and cover it hehe. The Mee Celup is something that i wish to try there. I wish to try the Mee Celup. I look special to me.